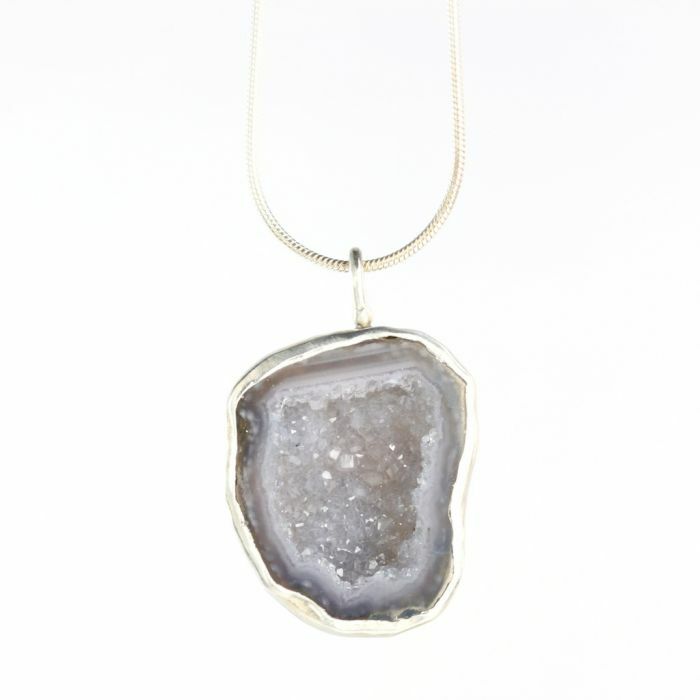 From the “Otherworldly” jewelry collection: Baby geode pendant. 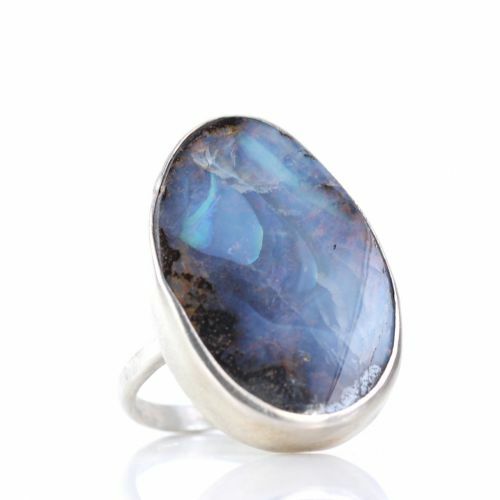 Pretty pale blue/grey “druzy” glitters inside this unique baby geode. For the “Goddess” within! 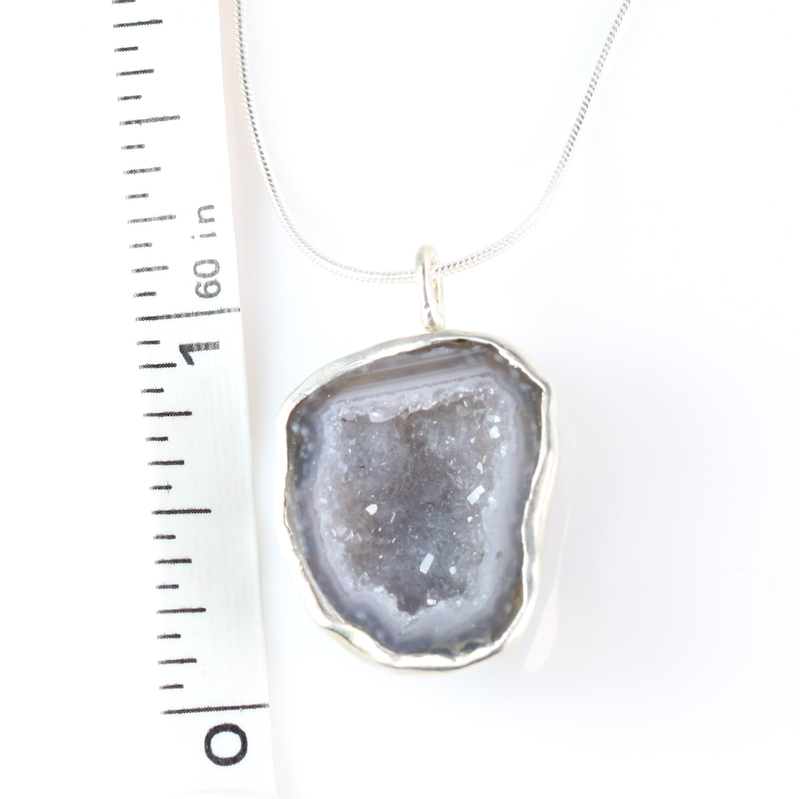 This baby geode is hand set in a fine silver bezel, sterling silver bail and 18″ sterling silver snake chain. About 21mm x 15mm. 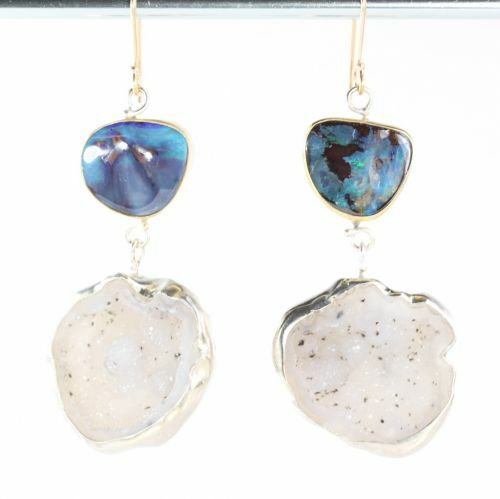 The Metaphysical Particulars: Geodes symbolize the “Goddess”! 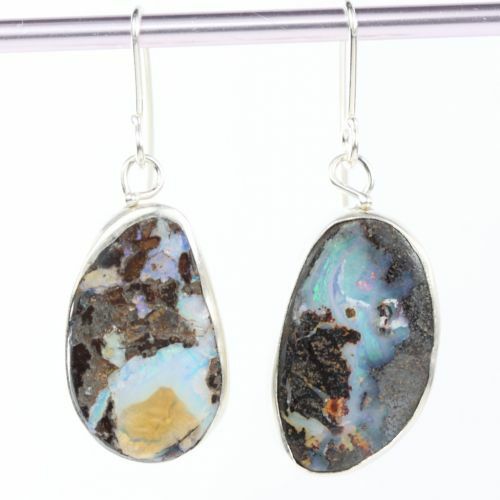 Jewelry to empower and enhance your life! 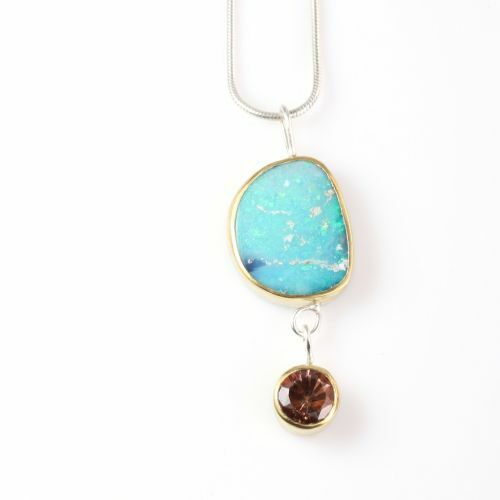 All Leda Jewel Co jewelry is created by hand with natural gems and crystals, and recycled gold and silver.